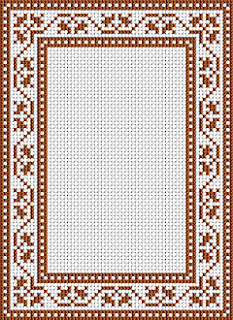 I added 2 new free cross stitch patterns this weekend - easy to stitch (counted cross stitches , no backstitches) motifs for frames , borders etc. 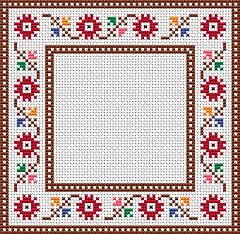 I recommend them to everyone who wants to try the old hobby of cross-stitching and learn how to cross stitch. All you need to start is fabric ( 14 count aida white) and DMC floss ( look at the instructions in PDF files ) on Alita Designs.